The publication of Small Is Beautiful: Economics as if People Mattered in 1973 marked a cultural shift in the understanding of the consequences of our everyday economic transactions. E. F. Schumacher introduced the concepts of human scale, local community, environmental responsibility, and permanence to our economic decision making. Following the death of Schumacher in 1977 a group in England associated with Resurgence magazine formed the Schumacher Society to promote his ideas through an annual lecture program. In 1980, Satish Kumar, the director of the Schumacher Society in England, gathered together a group of North American friends of Schumacher to start a society here. Biologist David Ehrenfeld, politician John McClaughry, and publisher Ian Baldwin were all a part of that founding group. They asked Bob Swann to lead the organization. 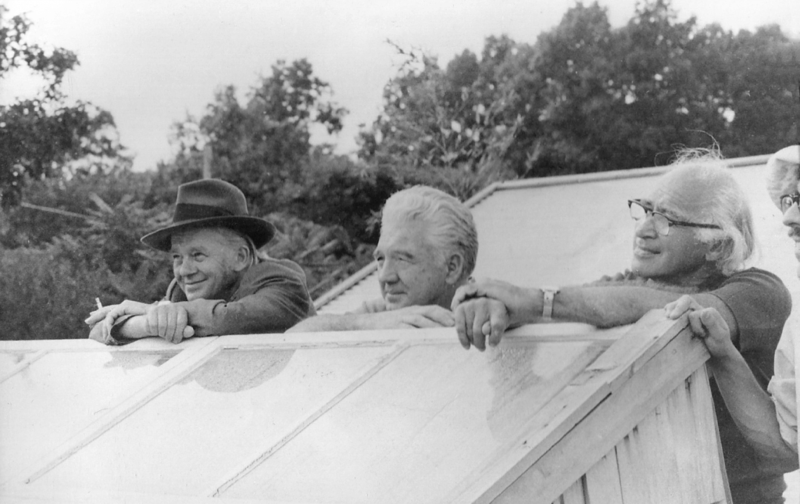 Left to Right: Fritz Schumacher, Robert Swann, and George Wald (Nobel Prize Winning physicist) at New Alchemy Institute, Cape Cod (1974). Bob Swann was known for his work and interest in land reform and monetary reform. He had sponsored Fritz Schumacher’s successful 1974 trip to this country and was a vocal advocate of a more human scale approach to solving technological and organizational problems. 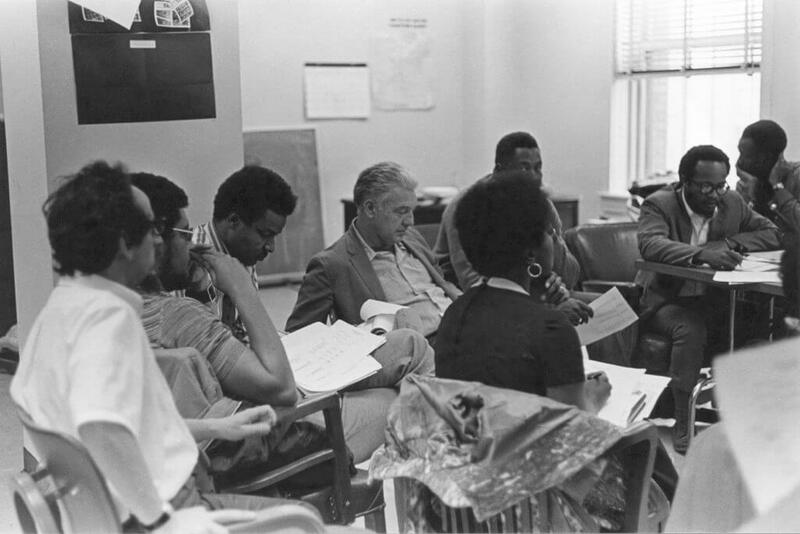 Bob’s work with the civil rights movement in the 1960s led him to develop the first community land trust as a method to obtain land tenure for African-American farmers in the rural south. With Ralph Borsodi in 1972 he issued a local currency in Exeter, New Hampshire as a way to bring back economic control to the regional community. In 1978 he launched the Community Investment Fund in Cambridge, Massachusetts, the first investment fund with positive social criteria. It helped educate the religious, educational, and foundation communities concerning the issue of social investment. When first asked to head the Schumacher Center, Bob was concerned that it would be merely a lecture sponsoring organization, but he was assured by the initial founders that he had been invited because of his demonstrated interest and skills with practical programs for economic reform, and so he accepted the position. Celebratory events to build fellowship and commitment. The Schumacher Center’s local Berkshire programs—micro-lending institutions, community land trusts, consumer supported farming, local currencies—have stimulated national replication and additional experimentation. 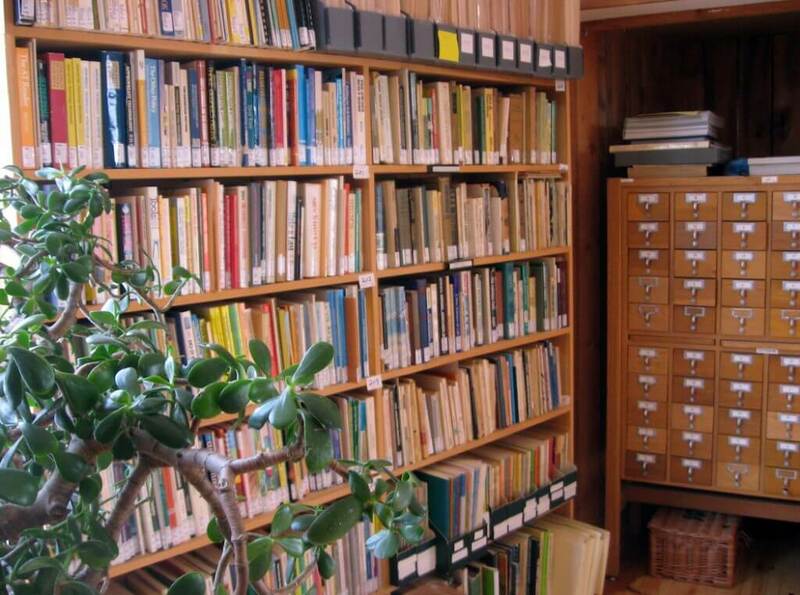 Its computer indexed library, which includes the personal library of Fritz Schumacher, is recognized as a leading resource on decentralist thought and has already served as the principal research center for several books and theses. Its Annual E. F. Schumacher Lecture series has provided a vehicle for the exploration of new ideas in the “small is beautiful” tradition, culminating in the recent publication of People, Land, and Community: Collected E. F. Schumacher Society Lectures from Yale University Press. Its Annual Decentralist Conference celebrates the success of citizen-based initiatives in solving economic, social, and environmental problems in our small towns and neighborhoods around the country. Thanks to the support of its members, the Center has already achieved tremendous influence for an organization of its size. The board of directors plans to broaden that influence by placing its library catalogue index online so that students, authors, and researchers will not have to come to our library—rather “our library will go to them.” The board is planning additional publications, including a handbook of resources for community renewal with legal documents for local currencies, community land trusts, and micro-lending programs as well as a section on land tenure options for community supported agriculture initiatives. Also being planned is a Decentralist Reader highlighting some of the best thinkers past and present in the field, expanding the scope of Schumacher’s original vision. The Center is working on first year funding for a region-wide Berkshire local currency project supported by local banks and the Chamber of Commerce. And finally, the Center will continue its successful lecture and conference programs, building a community of practitioners who believe that the future can be small and beautiful. Please support this on-going work with your tax-deductible contribution. If you can, please join us at the Seventeenth Annual Lectures in Williamstown, Massachusetts. Inspired by Fritz Schumacher’s famous essay “Buddhist Economics,” Arthur Zajonc has chosen to speak on “Buddhist Technology: Bringing a New Consciousness to Our Technological Future.” In his work with the Dudley Street Neighborhood Initiative, Greg Watson has come to recognize the kind of “Wisdom That Builds Community.” He will describe the achievements and new dreams of this citizen-motivated organization. John Mohawk would like to talk of the parallels he has witnessed between the global culture’s treatment of indigenous people and its treatment of the Earth’s environment. Three powerful speakers, three important topics, and three warm hearts to capture a Schumacher Center audience. We look forward to seeing you at the Lectures.